Lot Package Deal!!! Buy 8 lots in Harborside for 1 Low Price!!!!! Purchase 102 Lakeport Drive Lot #29 , 106 Lakeport Drive Lot # 27, 108 Lakeport Drive Lot # 26, 109 Nautical way Lot # 35, 316 Nautical Way Lot # 219, 320 Mainsail Drive Lot # 234, and 104 Peninsula Way Lot 2A and Lot 1A Peninsula Way being sold as 1 Lot. Get All these lots for the price of just 1 Lot in other locations on the LAKE!!! Some lots are waterfront and some are interior. 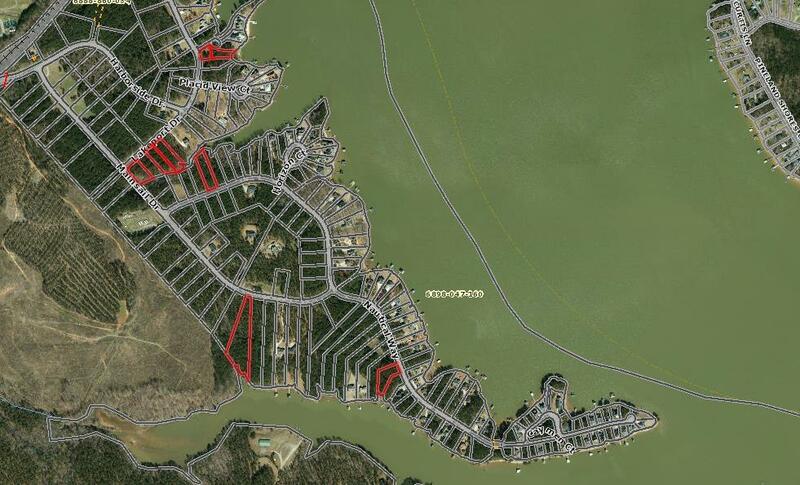 Main picture shows where the lots are located in Beautiful Harborside Subdivision!!! 8 lots being sold as 7 lots. All lots for just 179,900.00! Call now before this DEAL is GONE!!! !